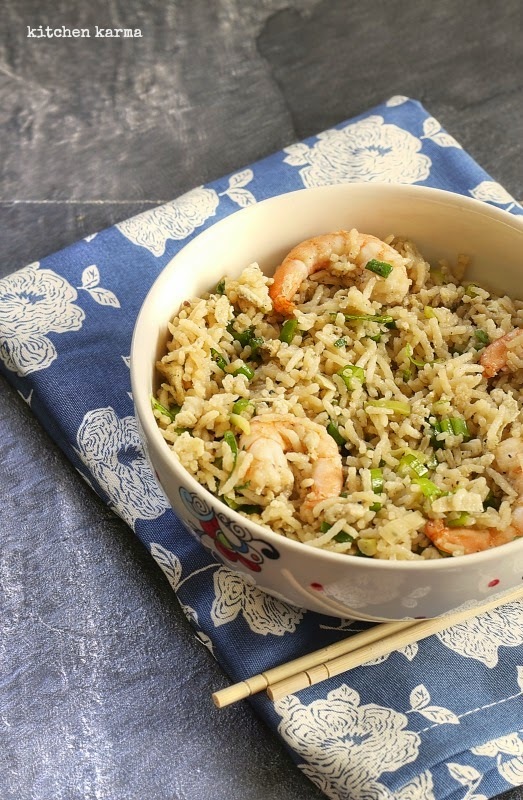 Today I bring you Chinese style shrimp fried rice. This was our dinner yesterday. It's another of my easy peasy recipes, made in minutes if you have some leftover rice. In fact it's a great way to use up your leftover rice. Like I mentioned today I am going off to a small weekend trip, so rushing about trying to finish a lot of chores. But before I go wanted to share the photo and also say bye to you guys. See you tomorrow! Inviting pic no, 23. Colorful looking rice preparation.